This is Sara, one of the main admins at Barefoot Rehab. That’s me below. Standing where I usually stand. 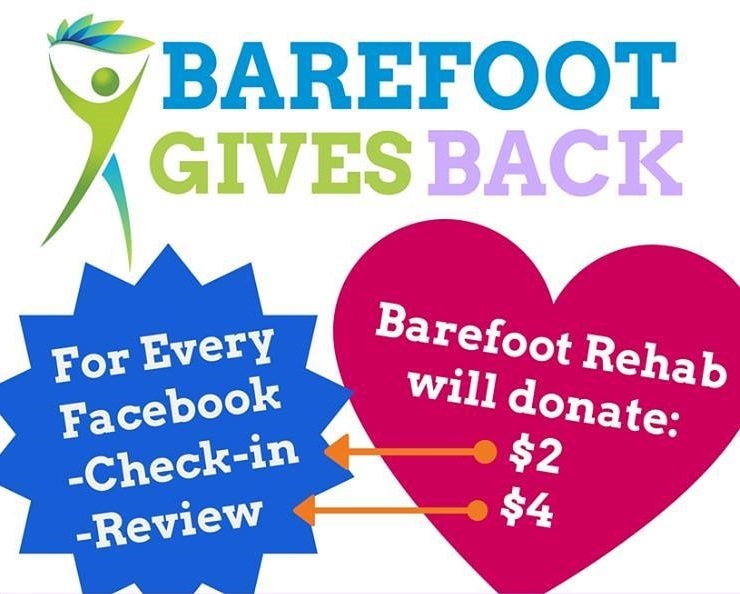 I’d like to start off by thanking each one of you who took the time to write a review, or like us on our Barefoot Rehab Facebook page this past month. Through our Barefoot Gives Back program, each one of those “likes” and reviews went to benefit Imagine, A Center for Coping with Loss in Westfield, New Jersey. Thank you for helping us support such an amazing cause! During the month of July, we will be supporting Jersey Battered Women’s Services. 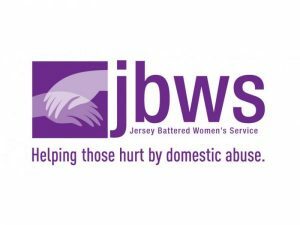 JBWS was started in 1976 as a hotline to aid victims of domestic abuse. Within a two years of serving the community, the hotline turned into a confidential shelter where women in danger could take refuge from domestic abuse. The mission of Jersey Battered Women’s Services is to prevent domestic violence through empowerment, rehabilitation, social reform and education. Please take a look at how JBWS has helped victims of abuse at jbws.org. There is a special place in my heart for JBWS. In high school, I was a part of a counseling group called TADA (Teens Against Dating Abuse). It included myself and many of my peers, and was run by my amazing guidance counselor. We were educated about the different forms of abuse that can occur within a relationship, how abuse can escalate over time, how to model healthy relationships and self-respect and how anyone can become a victim of abuse. We then ran small confidential groups where we educated others on abuse and ran a discussion in which we shared our thoughts and experiences. We ran multiple fundraisers during the school year and we donated our proceeds to JBWS. When Dr. Chris asked me to pick our next non-profit organization to support for July, I instantly thought of JBWS. The support, education and empowerment they have provided to the community is immeasurable and we want to support their message and mission! Please continue to check-into our Barefoot Rehab Facebook page when you come in for a treatment or to say hello and let your friends and family know who are suffering with chronic pain that we can help. Who would you like to see Barefoot Rehab in August? What local organization is doing amazing things that needs more support? Comment below.